Emma L Watson, as Nigel's daughter, has been around the worlds of helicopter aviation and luxury yachting her entire life. 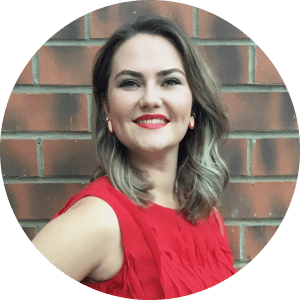 She holds an Msc in International Business and a BSc in Geological Sciences from the University of Leeds; speaks English, French and German fluently; and loves to travel the world. Please donate to Wings Like Eagles to make sure that Adrian Nance and his team can continue their urgent and life-saving rescue efforts in Mozambique. 👉 Donate to Wings Like Eagles here. As many of you may be aware, Mozambique has been hit hard by Cyclone Idai. The days of rain caused the river Pungwe to burst its banks and leave vast areas of the surrounding countryside flooded, creating ‘inland oceans’ (BBC). Farmers’ crops and entire road sections have been washed away. Local people have been displaced, many homes flooded. Adrian Nance and Wings Like Eagles maintain a year-round helicopter presence in the area so that when disaster strikes someone can be on the scene as quickly as possible. They find the members of the community that need help and provide them with food and water. They provide emergency care to the sick, injured, young, elderly, pregnant, and infants. They implement measures to prevent epidemics of dysentery, cholera, typhoid, malaria and measles – as simple as one nurse with a cool box full of vaccines or one sanitation expert. They then support larger groups – like the United Nations, Red Cross or Red Crescent, Oxfam, Save the Children and World Vision – when they make it on to the scene. 👉 Find out more about Wings here. With the extent of the flooding in Mozambique, the helicopter really is the best way of getting supplies and help to those who need it most. Lorries sometime can’t make it through the floodwaters. Boats are in scant supply and are hindered by fast flowing waters and vast distances between communities. When it comes to disaster relief, minutes really do count. The hours saved by flying in on helicopters can slash mortality rates and ease the suffering of those afflicted. Flight hours provide food, water, emergency medical attention, preventative medicines and vaccines, sanitation experts, and emergency evacuations. But these flight hours require a pilot, fuel, insurance, maintenance and ground crew costs – adding up to $1,000 per flight hour. And it is amazing how much one flight hour can achieve: in just over 30 flight hours, over 18 aircraft, 8 tonnes of food and medicine were delivered, saving the lives of around 8,000 people. We at Nigel Watson Limited, and through our Helicopter Operator Luviair, have been longstanding supporters of Adrian and Wings Like Eagles. We are proud to be regular contributors to the project. In fact you can read a previous post of ours asking for support in 2013 – 👉 here. 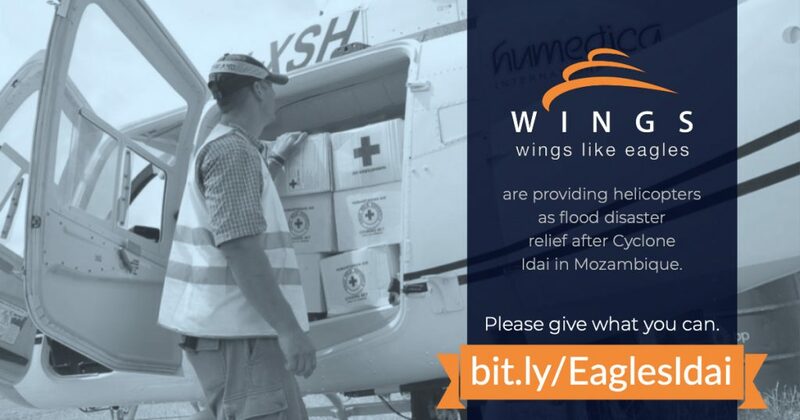 This week we have donated 1 extra flight hour to Wings Like Eagles toward their efforts related to Cyclone Idai. We are now asking you all to please donate to Wings Like Eagles to ensure that Adrian and his team can continue their urgent and life-saving rescue efforts. Any donation amount is welcome. It is amazing how quickly small amounts add up into donated flight hours; where even 1 hour can save hundreds of people. If you are not in a position to donate, please spread the word about them – share this post on your social media feeds and tell the people around you. You can also donate to Disaster Emergency Comittee’s Cycle Idai Appeal if you wish to contribute to the relief efforts in other ways than helicopter support. 👉 Donate to DEC here.